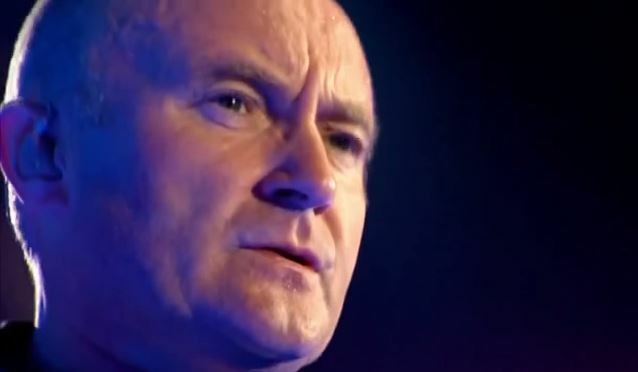 Phil Collins says that LED ZEPPELIN's reunion show at Live Aid on July 13, 1985 was "a disaster" and claims that he realized it was "a mistake" as soon as the band started playing. The GENESIS drummer took the stage at Philadelphia's JFK Stadium for LED ZEPPELIN's first live performance since the death of John Bonham five years earlier. The concert wasn't billed as an official LED ZEPPELIN appearance, which saw Collins was filling in, along with Tony Thompson of CHIC, for Bonham. They played for 20 minutes, giving them enough time to run through "Rock And Roll", "Whole Lotta Love" and "Stairway To Heaven". "I thought it was just going to be low-key and we'd all get together and have a play," Collins told Q magazine. "But something happened between that conversation and the day — it became a LED ZEPPELIN reunion. I turned up and I was a square peg in a round hole. Robert [Plant, vocals] was happy to see me, but Jimmy [Page, guitar] wasn't." Collins added: "You could sense I wasn't welcome. If I could have walked off, I would have done. But then we'd all be talking about why Phil Collins walked off Live Aid — so I just stuck it out. It was a disaster, really. Robert wasn't match-fit with his voice and Jimmy was out of it, dribbling. It wasn't my fault it was crap." Plant told Rolling Stone in 1988 about the performance: "It was horrendous. Emotionally, I was eating every word that I had uttered. And I was hoarse. I'd done three gigs on the trot before I got to Live Aid. We rehearsed in the afternoon, and by the time I got onstage, my voice was long gone." Page later said about the event: "My main memories, really, were of total panic. John Paul Jones arrived virtually the same day as the show and we had about an hour's rehearsal before we did it. And that sounds like a bit of a kamikaze stunt, really, when you think of how well everyone else was rehearsed."